NASA Press Kit for Space Shuttle mission STS-42. Primary payload is the International Microgravity Lab. (Included is black & white GIF of mission patch.). countries will participate in the investigations. 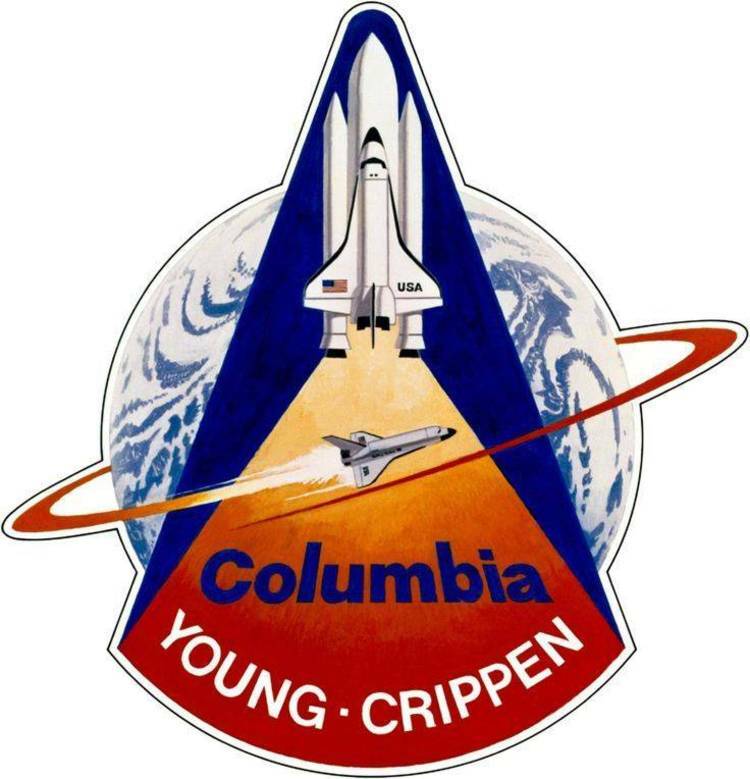 Jan. 29, 1992, at Edwards Air Force Base, Calif.
Space Shuttle Student Involvement Program will fly on Discovery as well. through granular substances in weightlessness. 1992, five of which will feature international participation. to reflect changes dictated by mission operations. service is updated daily at noon ET. schedule will indicate when mission briefings are planned to occur. Primary Landing Site: Edwards AFB, Calif.
or White Sands Space Harbor (Northrup Strip), N.M.
Moron, Spain; or Ben Guerir, Morocco. thrust back toward KSC until within gliding distance of the SLF. which is the primary payload for mission STS-42. no. 3 position. These engines were installed on October 24-25.
payload was closed out for flight in the OPF on Dec. 9. Mission STS-53, a Department of Defense flight. experiment hardware, parameters or protocols. advantage of unexpected research opportunities. firings which would disturb sensitive experiments. experiments which require precisely timed activities will be carried out. critical operations and to modify experiments as required. scientific community through normal publication channels. space, these cells can be observed at various stages of their development. of living cells to microgravity. virus and become cancerous Friend leukemia cells. practical to manufacture some pharmaceutical products in space. secretions to those grown on Earth. system is designed to operate automatically for 2 weeks. in the collagen molecules -- the major support fibers of cartilage and bone. subtle aspects of cartilage development on Earth. This experiment also may help clarify how bones heal in space. this experiment, is part of the healing process. affects a person's ability to function in Earth's gravity after a mission. growth, maintenance and repair must be understood. studying fertilization of eggs and embryo formation of frogs in space. the sperm entrance point always becomes the front side of the embryo. space, incubated and preserved during various phases of embryonic development. compared to see if fertilization and development proceeded normally. gathered on the processes affected by microgravity in complex organisms. certain medical problems, such as cataracts, mutations and cancers. A microscopic soil nematode (roundworm) will be used to "capture"
proceed normally in microgravity for up to three generations. the major organ systems and tissues found in other animals, including mammals. examined for genetic mutations and development progress. determining if changes to samples are caused by radiation or microgravity. slime mold adapted to microgravity. Lawrence Berkeley Laboratory, Berkeley, Calif.
produced -- normally does not occur in simple organisms like bacteria. could be more effective in preventing antibiotics from destroying bacteria. exposed and to sets of bacteria grown on the ground. themselves in the direction of the simulated gravity. shoots grow in any direction. influence on the structure, orientation and distribution of their amyloplasts. a few cases is the influence of gravity on living cells known. videotape recorders and plant- holding compartments described below. stimulus chamber (REST) and videotape recorders. plant cubes are placed in the rotors. growth of the plant mesocotyl and makes them grow straight. launch, plus soil trays for in-flight plantings. are maintained in microgravity until ready to be used in the experiment. from the constant 1g force present on Earth. mission for comparison with seedlings grown on the ground. University City Science Center, Philadelphia, Pa.
nutational movements. These growth patterns occur naturally on Earth. Scientists want to learn details of how the movements change in microgravity. seedlings receive different durations of exposure to light. stimuli, the nervous system responds by interpreting the sensory information. prompting the nervous system to develop a new interpretation of the stimuli. Space Center, examines the effects of microgravity on the vestibular system. study the changes that are integral for the adaptive process. comparison for the in-flight experiments. International Microgravity Laboratory (IML-1) mission. and back pain in astronauts will be studied. Douglas G. D. Watt, Ph.D.
inner ear and gravity sensing receptors in the muscles, tendons, and joints. Subjects are strapped into a seat on a device known as the mini-sled. signals or learns to ignore them. the semicircular canals and the otolith organ. coordination between eye and head movements. "circularvection." On Earth, the otolith organ acts to limit this sensation. to determine if any sensory nerve block develops during spaceflight. composition is calculated by dilution of the stable oxygen isotope. diagnosing problems of the inner ear. diagnosis of inner ear disorders on Earth. combat this after-effect of spaceflight. subjective impressions of the astronauts, will contribute to the results. spinoffs are expected as a result of the increased understanding of back pain. inhibits effective separation and purification. field on the process are observable in microgravity and also will be studied. transplants and treatment of disease. Biostack and then determine the level of radiation damage to the organisms. radiation protection is needed in certain areas of Spacelab. to improve basic understanding of radiation biology. protein crystals by liquid diffusion under two different thermal conditions. protein, a salt and a buffer mix via diffusion to initiate crystal growth. light energy to voltages in the membranes of certain primitive microorganisms. video camera for recording images of fluid flows in and around the samples. (ammonium chloride) which, in water solution, models the freezing of alloys. resource prospecting, biomedical applications and astronomical observing. mercury iodide crystals during IML-1. on the seed for approximately 100 hours to produce a larger crystal. specialist who operated it in orbit. three seed crystals if time permits. transfer electric current with no resistance, just like a metal superconductor. satellites and many other electrical devices. member raises the crystal into a protective chamber for later analysis. critical point phenomena are universally common to many different materials. Physically different systems act very similarly near their critical points. questions about the basic physics of substances undergoing phase changes. distribution in sulfur hexafluoride (SF6) above and below the critical point. avoiding the need for large amounts of power to heat or cool the fluid. one-phase region to the two-phase region. interested in how changes in temperature affect formation of the two phases. and transmission under various conditions. to digital data before being stored on optical disks. which also is located in the Spacelab center aisle. Fluid Experiment Systems rack and the Vapor Crystal Growth System rack. activities are transferred through the vehicle to the experiment racks. mission on STS-40 in June 1991 and on the middeck in STS-43 in August 1991. Science Research Laboratories, St. Paul, Minn.
uniformity through processing in space. disrupting the stability of a sol and forming a gel (semi-solid material). particle sizes and loadings, the length of gelation times and the sol sizes. diamond particles or colloidal alumina sols doped with zirconia particulates. Both sols also will be mixed with a gelling agent of aqueous ammonium acetate. middeck stowage locker and surrounded with half an inch of isolator material. to, during or after the mission. for payload status and a test connector used during ground- based checkout. only portion of the payload accessible to the flight crew. of the two chemical components in the other. an internal limit switch will automatically stop each mixing system. only during this period will the locker door be open. payloads were adjusted to match the weight of the payload it replaced. Technical Manager (NTM) is Tom Dixon. the bubble to shrink. The NTM is Tom Dixon. payload from excessive temperatures. The NTM is Tom Dixon. Sponsor: U.S. Air Force, Phillips Laboratory, Hanscom Air Force Base, Mass. Sponsor: Naval Postgraduate School, Monterey, Calif.
uses standing sound waves and inert gas to produce refrigeration. pump and injected into liquid again in a mixing box. The NTM is Herb Foster. Two interconnected GAS cans will house the components of the payload. battery and two tape recorders for recording data produced by the detector. remelted in space, then left to cool and resolidify. China will be carried aboard a space shuttle. procedure is at that point effectively quenched. projectors to record and display very high definition large-screen pictures. will deal with mankind's future in space. imbedded in the bottom and sides. shield interfered with the initial operation of the experiment. Thomas is a doctoral candidate of physics at University of Texas, Austin. experiment is sponsored by Thiokol Corp. Dr. Lee Davis, Thiokol Corp., and R.
through densely-packed course granular media in microgravity. sponsored by the Department of Defense in cooperation with NASA. 1985. He next flew as pilot for STS-30 in 1989. 4,500 hours flying time in various aircraft. hometown. He will be making his first space flight. the USS Midway in the Western Pacific and Indian Oceans from 1975 through 1977. In 1978, Oswald attended the Naval Test Pilot School. flying hours in 38 different aircraft. doctor of medicine degree from Texas Southwestern Medical School in 1977. McLean, Va., his hometown and will be making his first space flight. Manager for the Shuttle Carrier Aircraft. David C. Hilmers, 41, Lt. Col., USMC, will serve as Mission Specialist 3.
considers DeWitt, Iowa, his hometown. accident. His third flight was on STS-36 in 1990.
a degree in electrical engineering from the Naval Postgraduate School in 1978. Roberta L. Bondar, 46, Ph.D., M.D., will serve as Payload Specialist 1. Physicians and Surgeons of Canada in neurology in 1981.
microgravity on board NASA's KC-135. Space Agency. Merbold first flew on STS-9, the Spacelab-1 flight, in 1983. Stuttgart. In 1987, Merbold was appointed as Head of the DLR Astronaut Office.